Here, Joggle joints are explored and demonstrated. This is a relatively simple yet effective way to join two panels. 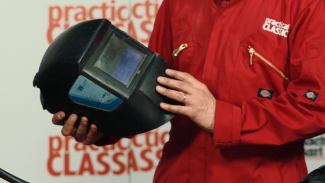 Consistency is key when welding, and maintaining the correct angle of your torch is essential. 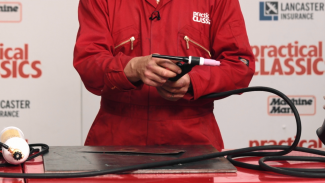 Work away from the nozzle and push the gas into the weld. We are now aware of a couple different types of welding. The next and final step is to make sure we fully understand their uses and decide which type of weld we should apply in a certain situation. To help you make that decision, Ben introduces a variety of scenarios and discusses the tools and joints he recommends using for each. 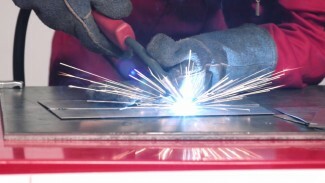 Unlike MIG welding, its cousin TIG welding does not require a wire to operate–instead it uses tungsten and gas to create the weld. 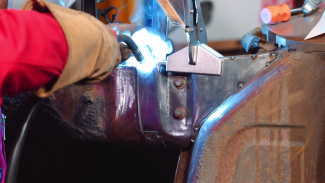 In this class, Ben teaches you the basics of TIG welding, discussing the theory behind its methods and demonstrating the essential techniques you’ll need to complete a TIG weld on your classic car. 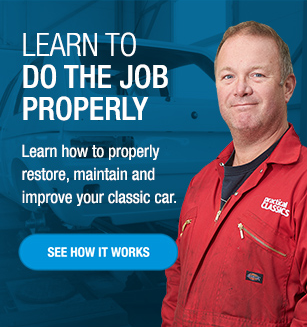 Now that we’ve gotten the basics down and we know what to expect with a weld, it’s time to put theory into practice by completing a real weld on our classic car. 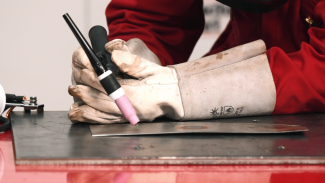 Ben Field walks you step by step through the process, demonstrating expert techniques, including working along curves and maintaining a safe welding space throughout. Once we’ve run our wire and set and enabled the gas, it’s time to try our hand at the first weld. 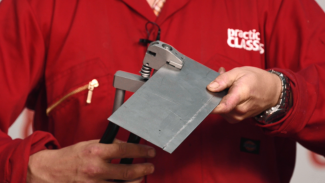 Ben walks you through the initial steps of a weld, teaching you in practice. 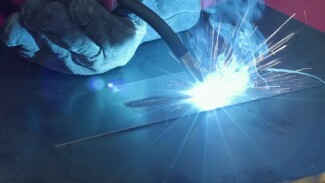 Getting started with a MIG welder requires setting up the wire and the gas. Ben Field teaches you the proper technique for preparing a MIG welder for the actual welding process.